Effective Advance Care Planning preserves the patient's right to informed medical decision making and patient autonomy. 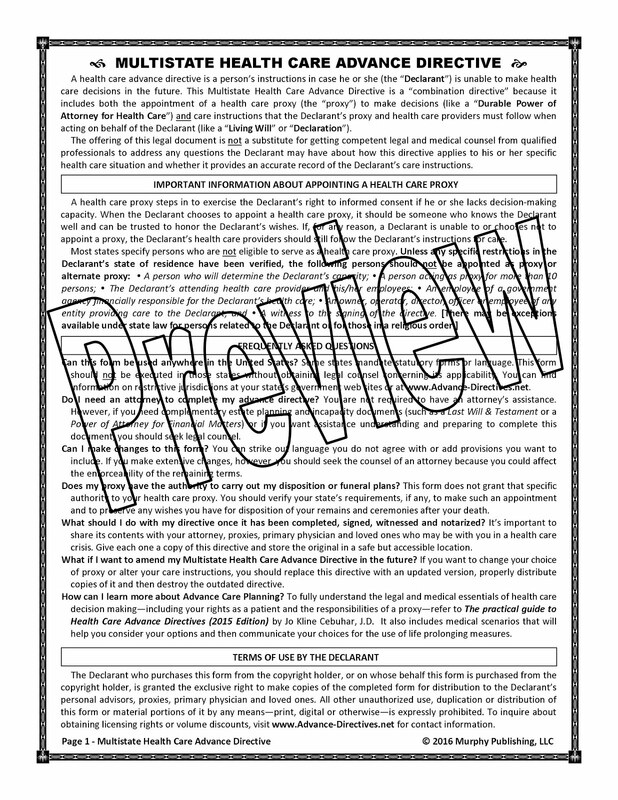 To inquire about obtaining a license to distribute multiple copies of this directive or about volume discounts for attorneys, other professionals and organizations, please contact Jo by email. If you want to purchase this form by regular (snail) mail, please contact Jo by email for instructions. Copyright 2015 Murphy Publishing, LLC and Jo Kline Cebuhar, J.D.. Watermark theme. Powered by Blogger.